Our Heating and Cooling Department has everything you need to get through Wisconsin's cold winters and hot summers. We sell window air conditioners, barn fans, and pedestal and desk fans. We also have ceiling and bathroom fans. Walsh's Ace has many different sizes of space heaters, humidifiers, and dehumidifiers to work for rooms of any size. We have a full selection of furnace filters, and our furnace filters are often on sale, so watch our monthly flyers! 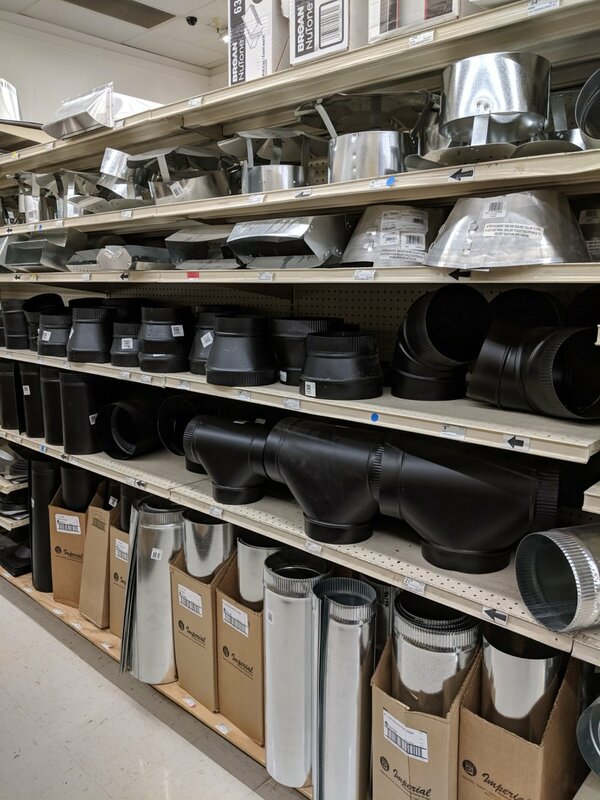 We have vent pipe, fittings, ducting, and caps. We also have thermostats and registers. We have insulation, weather stripping, window shrink kits, and more to help you save on energy costs and keep your home draft-free.